Kathleen Norris spent time at St John's Abbey in Minnesota on 2 occasions as part of extended residencies there. This is her record of the beneficial aspects of the cloistered life no matter what denomination the participant belongs to. 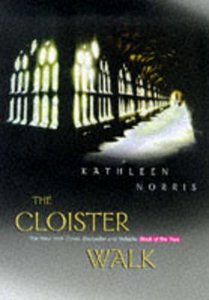 Kathleen Norris is the author of Dakota, The Cloister Walk, and Amazing Grace, and an award-winning poet.